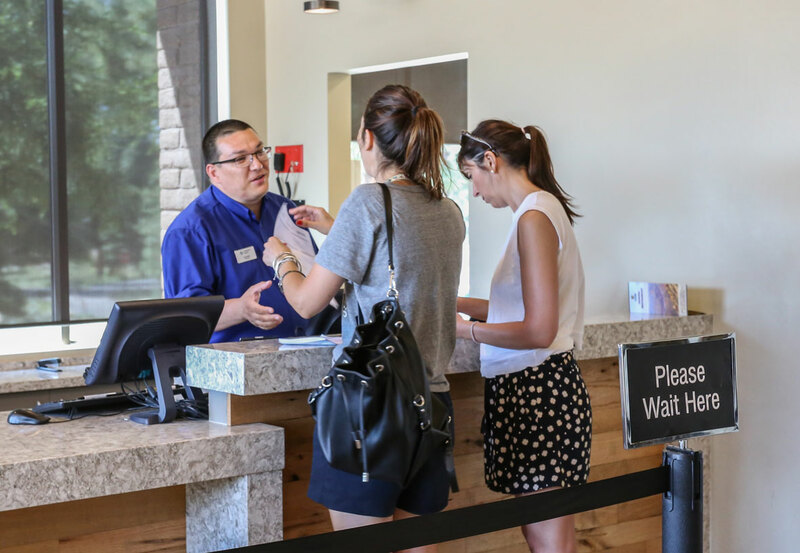 Our friendly staff is pleased to serve you. 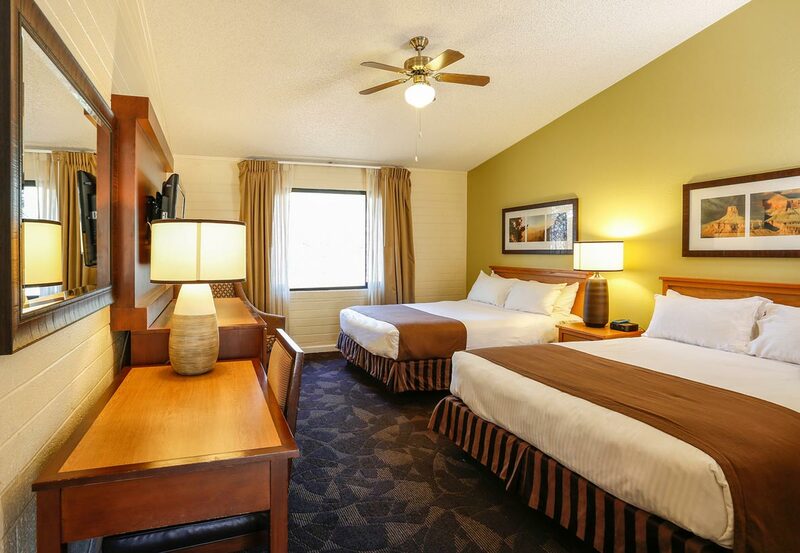 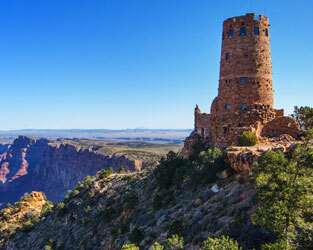 Yavapai East - Our newest guestrooms, with air conditioning! 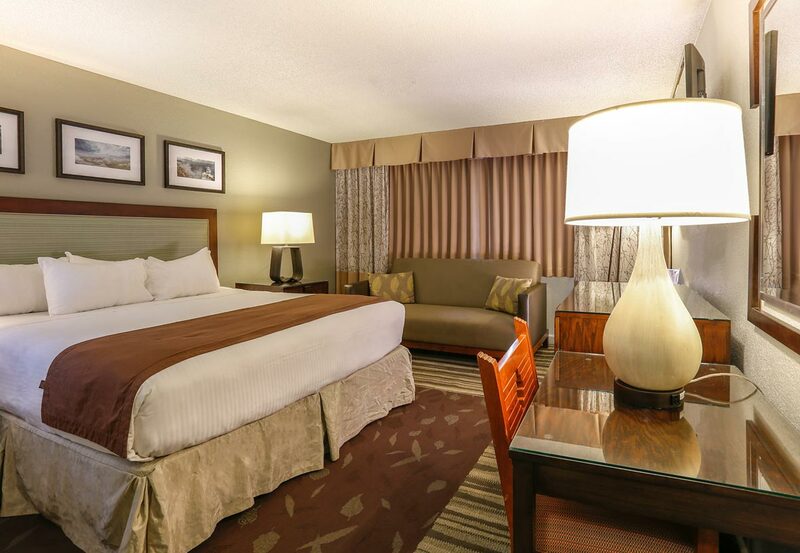 A cozy, comfortable room in Yavapai East. 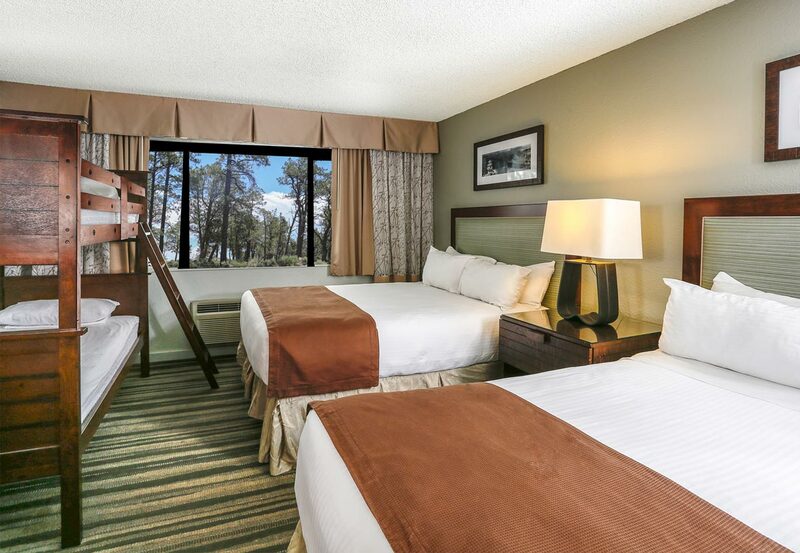 Yavapai East double-queen room with twin bunk beds - perfect for families. 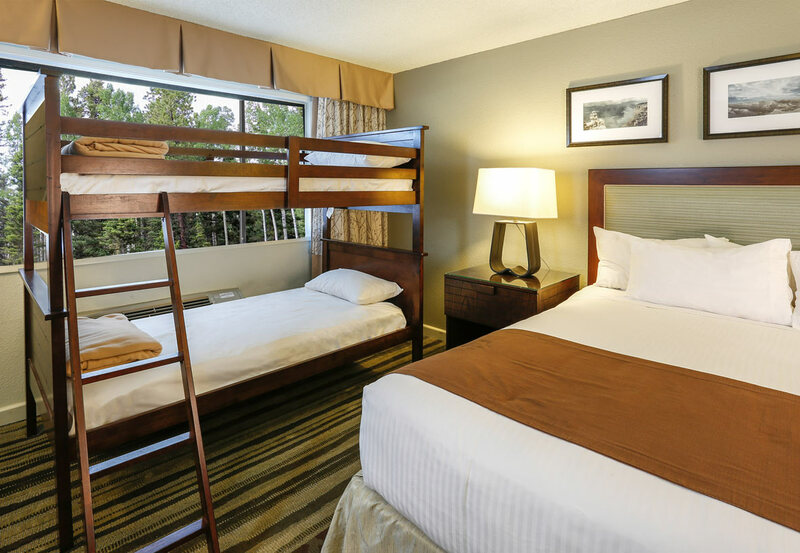 Yavapai East king room with twin bunk beds. 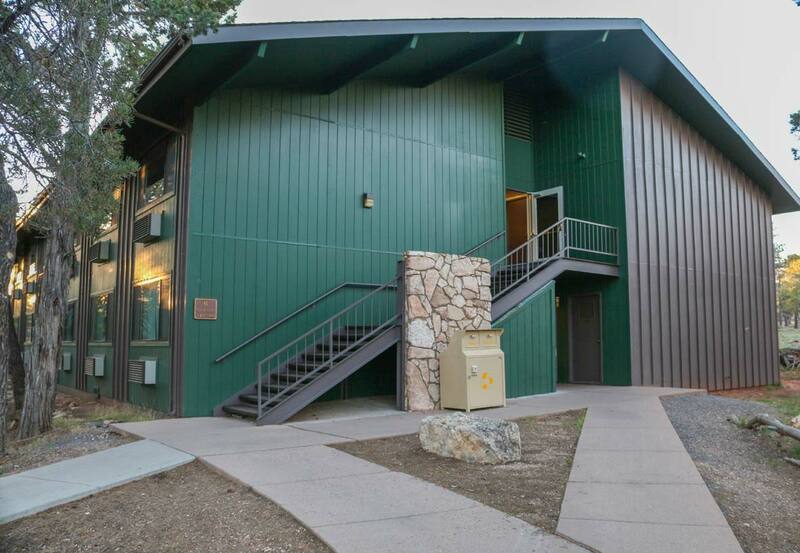 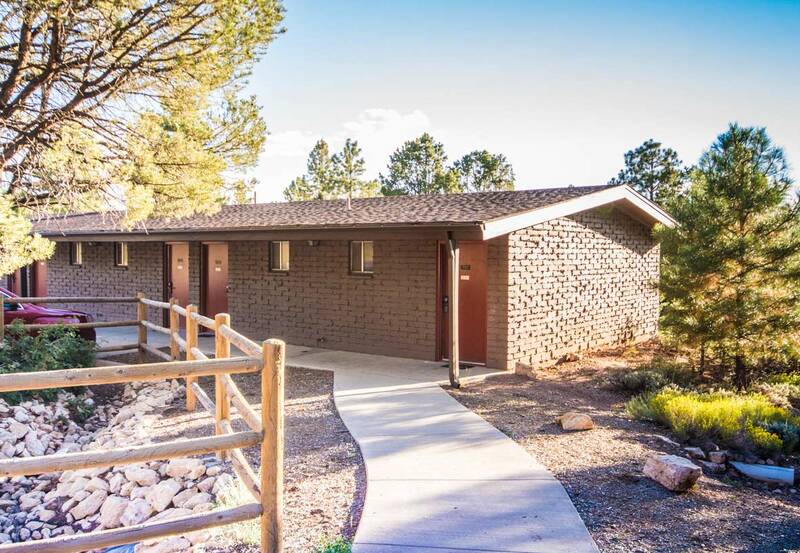 All rooms in Yavapai Lodge have private bathrooms. 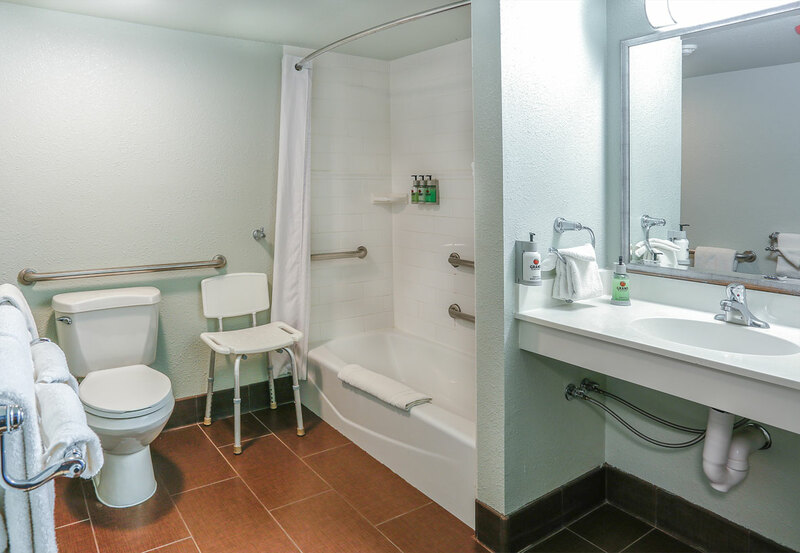 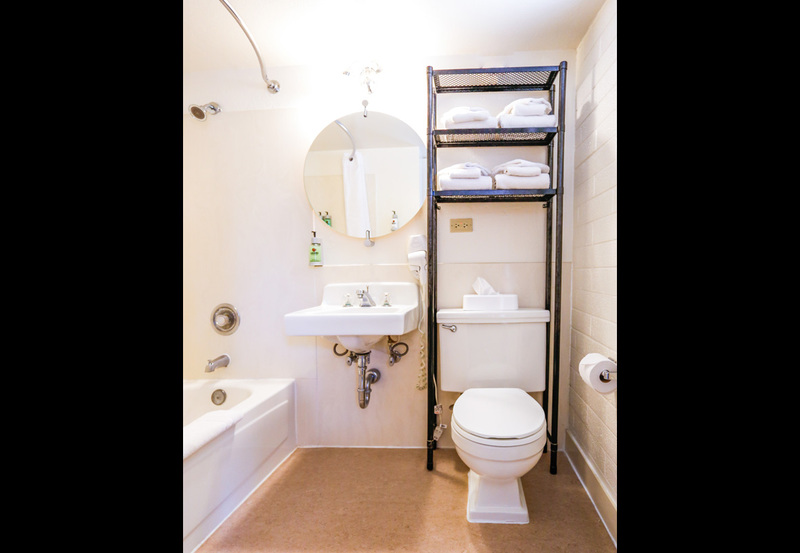 Accessible guestrooms with ADA bathrooms are available. 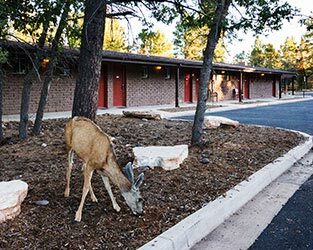 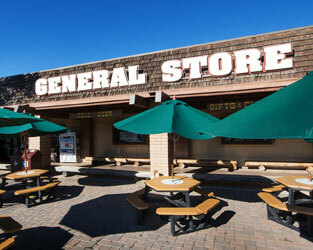 Yavapai West: Mid-Century Modern buildings from the heyday of Route 66. 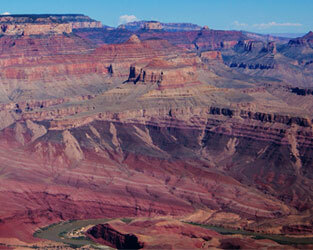 Yavapai West. 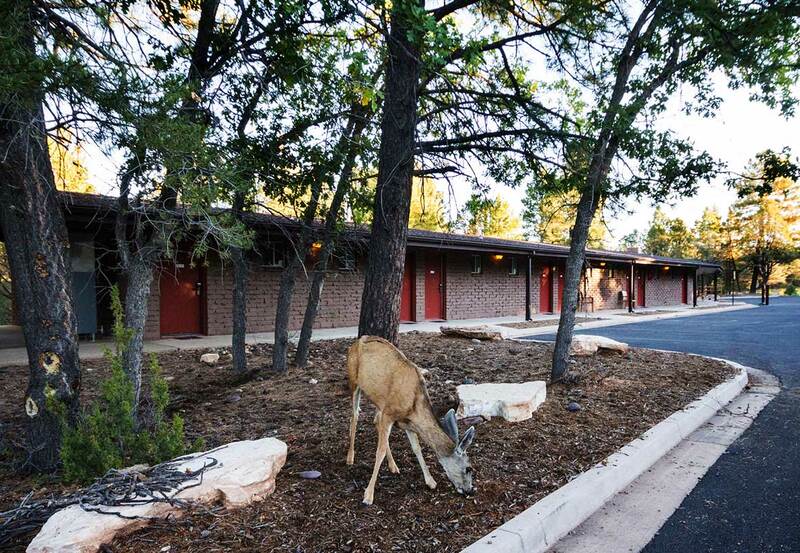 Proof you can stay comfortable and close to nature. 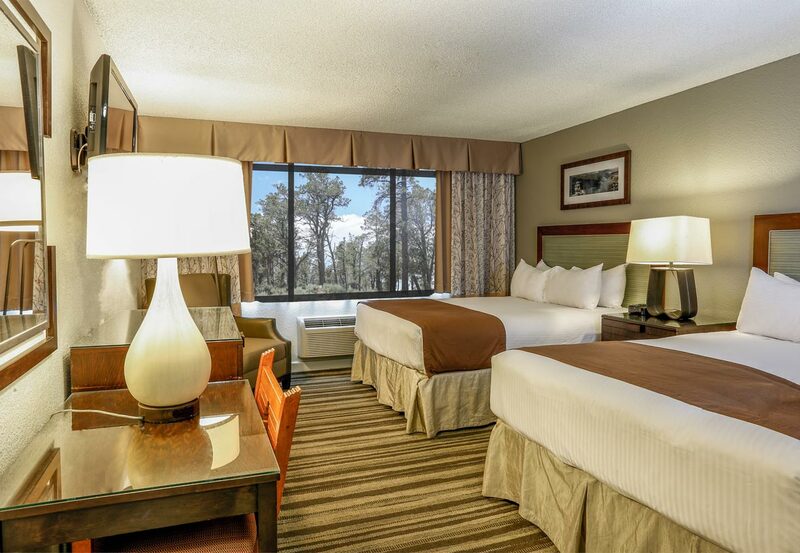 A spacious room in Yavapai West. 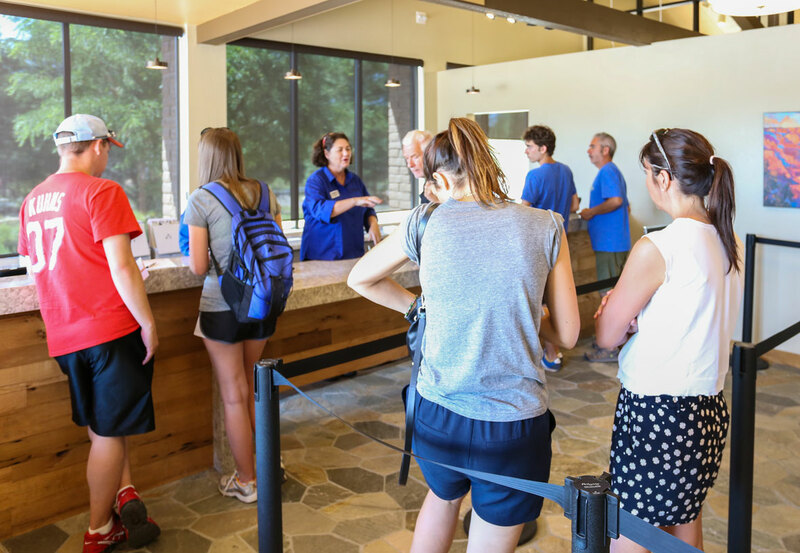 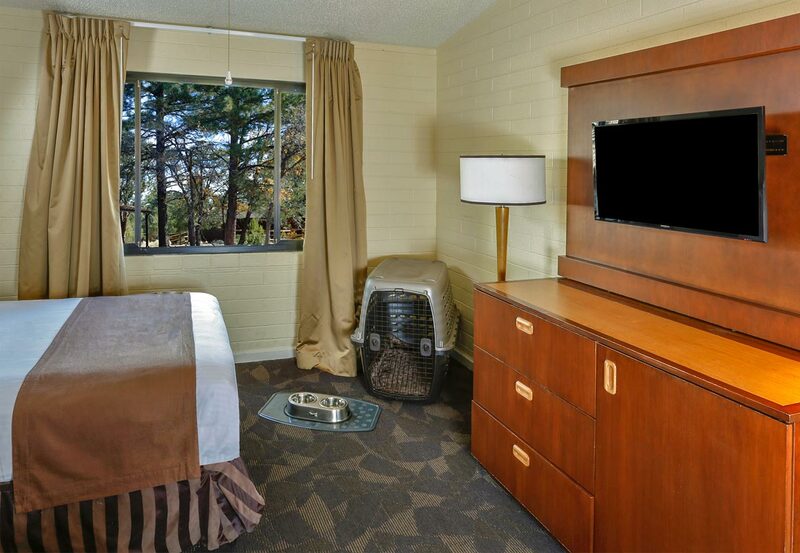 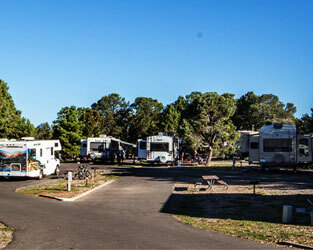 Pet Friendly rooms are available in Yavapai West. 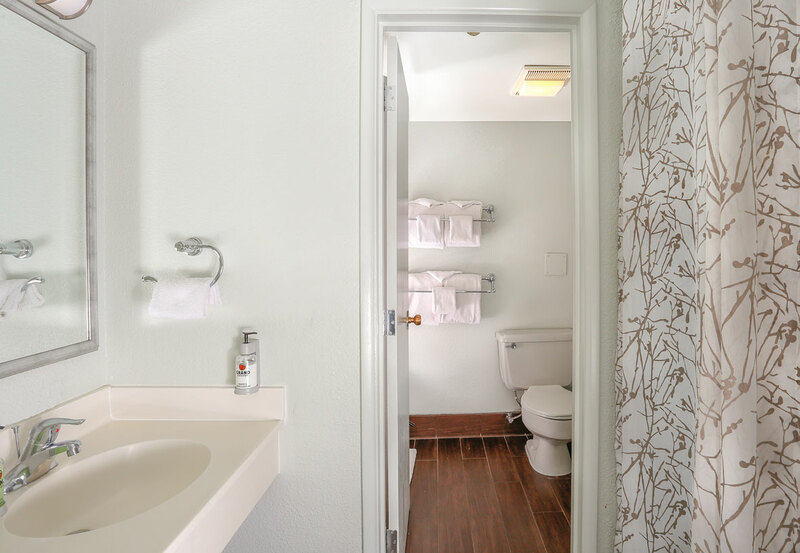 One of our private bathrooms at Yavapai West.